Iktsua is a mangling of the Inuit word "Iktsuarpok". This word is untranslatable into english but means something like: "The feeling of anticipation that leads you to go outside and check if anyone is coming". 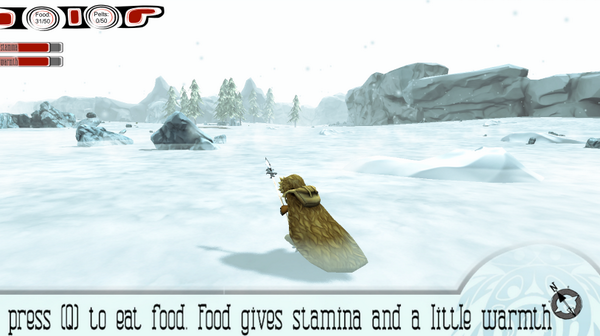 The reason we chose this as the name was because the game is based on a coming of age story, where an Inuit/Eskimo boy goes into the wilderness to become a man while his family anxiously waits for his return. 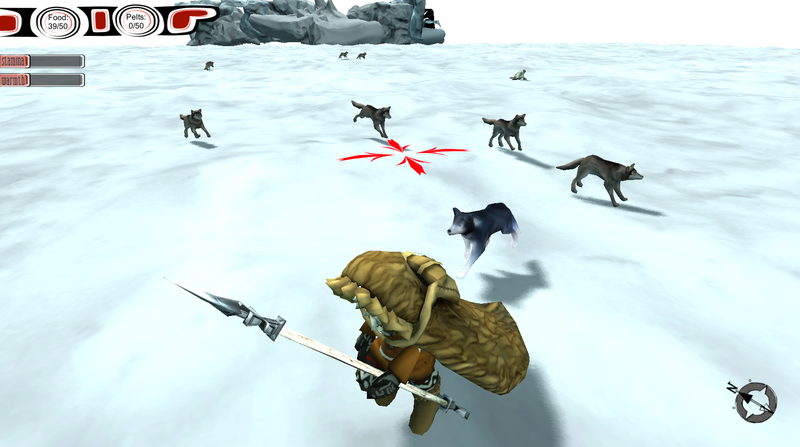 Non-linear gameplay lets you survive the in the wild. The game is currently in an open-alpha type state. It was created for a 64digits.com competition in one month. The current release is the game entered into the competition. We entered the competition in an attempt to earn the top prize: Unity Pro. 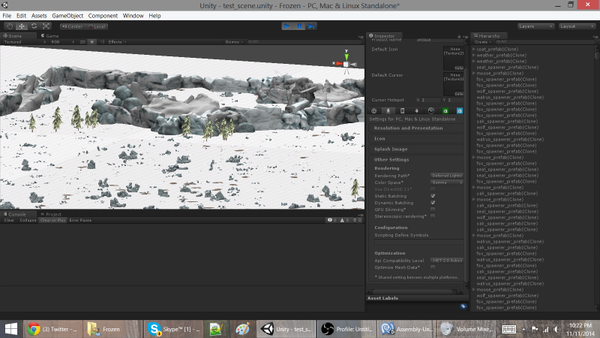 With Unity Pro we will be able to take this game to the next level, implementing many more features. To vote for Iktsua in the competition please visit 64digits. The next update will focus on the Husky! The long awaited Iktsua update 1.8 is now out! Check out the awesome September Update! News on the upcoming Iktsua monthly update expected for mid-September! An update to the popular game, Iktsua. For Macintosh OSX. An update to the popular game Iktsua. For Windows. This is NOT Iktsua, this is a small 2D prototype of the way the dog and yak will work together. Left click to move your dog.